Not just a ball but a solution to a problem for many Municipal Drinking Water applications, ECC provides not just a ball, but a solution to a problem with our floating plastic ball cover system. Waterfowl fatalities and process fouling in municipal and industrial ponds can be prevented by covering ponds with a floating ball cover system. 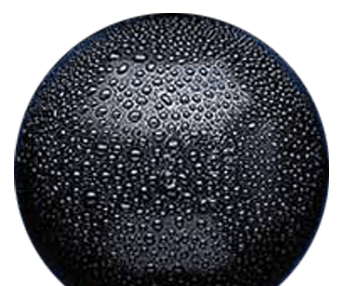 Acid mist generated by electrowinning metals from acidic electrolytes can be dramatically reduced with ECC floating plastic ball cover system. ECC has developed a portable floating plastic ball cover system that can be transported from one drilling site to the next site with very little effort. For many industrial applications, ECC provides not just a ball, but a solution to a problem. Most of our successful installations have resulted from working closely with customers, sharing our ideas and experience and tailoring a solution to meet their specific requirements.